It's called "AsparaBest®" for a reason! 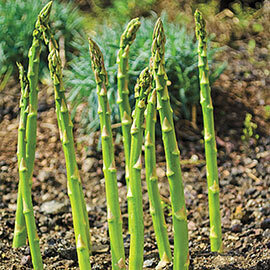 This delicious asparagus outperforms any other variety currently available, especially when it comes to flavor. The predominately male plants produce little to no seed to ensure larger yields, since all the plants' energy goes into spear production and healthy root development. 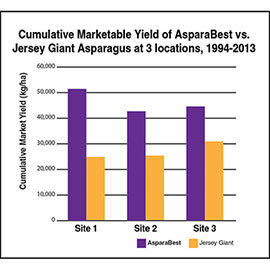 AsparaBest outproduces popular Jersey varieties 2 to 3 times over! 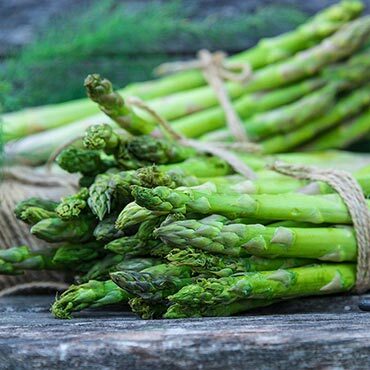 Regardless of your location, this sweet, crisp variety is unmatched in Northern climates for cold tolerance, and will live and produce longer than any other variety. 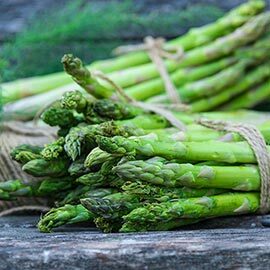 Since you'll have so much to harvest, be sure to try cooking the spears with our Asparagus Steamer, which will steam them to perfection in just minutes. Soil Preference: Suited for almost all soil types found in home gardens.